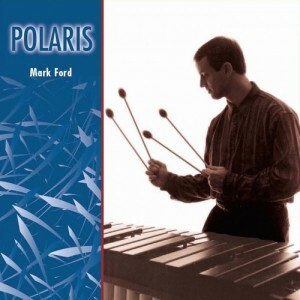 Polaris is my first solo marimba CD originally released in 1996. The CD features marimba music by North Carolina composers who were my friends and colleagues while I was teaching at East Carolina University in Greenville. Recording this CD was such an adventure. Many thanks to Christopher Deane for writing The Process of Invention for me! Wow, what a piece! I was also fortunate to premier Deane’s Three Shells, another beautiful work! Every composition by Chris is unique, expressive and innovative. I learned a lot by exploring his music with him. Mark Taggart really showed me a different side of his musical abilities with his Suite for Marimba. Mark modeled Johann Sebastian Bach’s music for this Suite but with a contemporary vision. He definitely succeeded! And Lynn Glassock’s Five Songs is a touching interpretation of Emily Dickinson’s poetry. A Percussive Art Society award winning composition, mezzo-soprano Sharon Munden helped me to bring Lynn’s Five Songs to life. And finally, this was my first attempt composing for the marimba with Polaris and Stubernic! Chris Deane and John Hanks recorded Stubernic with me as we had played it often in The Philador Percussion Group. We had great fun at this session. Many thanks to Dwight Robinett for his engineering expertise. There are no digital enhancements on this recording. What you hear is the marimba, the room and the music! Enjoy!